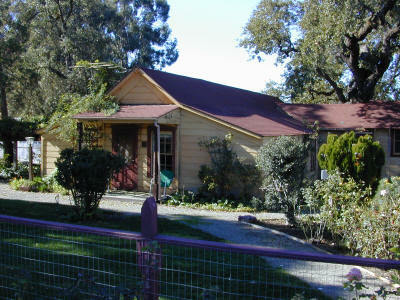 Built in 1836, this is the oldest standing house in the valley, and possibly the oldest this side of Mission San Jose. The house sits on five acres of land at 455 Olivina Ave. It was built in 1836 by Antonio Maria Pico, who later sold it to Suñol. Juan Pablo Bernal later acquired it and added it to Rancho el Valle de San Jose. Eventually one of the Mendenhalls squatted here. 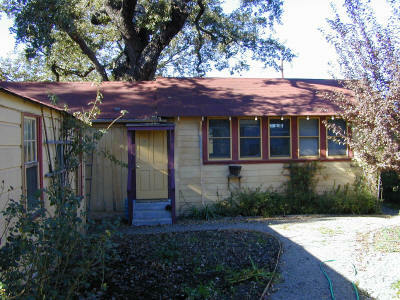 On the property there also sits the original Livermore High School Gymnasium, which is in service as an equipment shed. A Large Horse Barn, moved here from another location circa 1890, and a cow barn which was built sometime before that, presumably by Mendenhall. The Property was acquired by August Hageman circa 1889, and has been in the family ever since. It passed later to Herbert Hagemann Sr., who married Edna Kottinger (Daughter of John W Kottinger). The couple had a daughter Augusta, and a son, Herbert Jr. Herbert Hagemann Jr. inherited the property in the 1990s. He passed away in 2000, and the property went to his sister, Augusta Holm, and her son Carl. It is now a Commercial Horse Boarding Facility, the only one within the Livermore City Limits. Horses have boarded here since the '50s. Special thanks to Christian Holm, the Stablemaster of Hagemann Farm, who alerted me to this historic site, and provided access, a tour, and the information about the property. 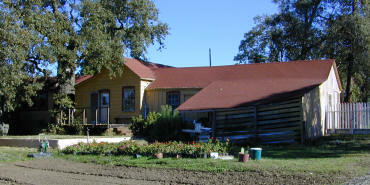 Built in 1836 by Antonio Maria Pico, later owned by Suñol, then sold to Juan Pablo Bernal, who used it as the East Station for Rancho el Valle de San Jose. The house has housed such prominent families as the Mendenhalls, Luders and one of the Kottinger daughters, Edna, who married Herbert Hagemann Sr. 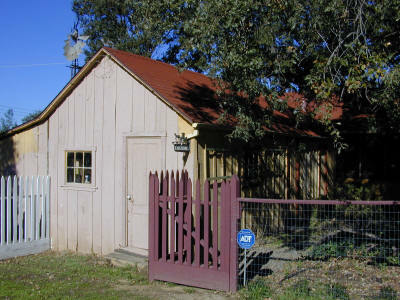 The Sleeping porch, built on skids as an addition by Herbert L. Hagemann Sr. Probably in the 1920s. Now used as the office. "The Middle Room" was once a jockey quarters. It was also a connecting passage to another wing of the house destroyed by fire in the early 20th Century.